The crepes themselves are easy to throw together. You can use a blender (I use a Ninja) to blend the ingredients, eliminating annoying clumps, and best of all, you can use the batter immediately upon mixing. No need to wait. 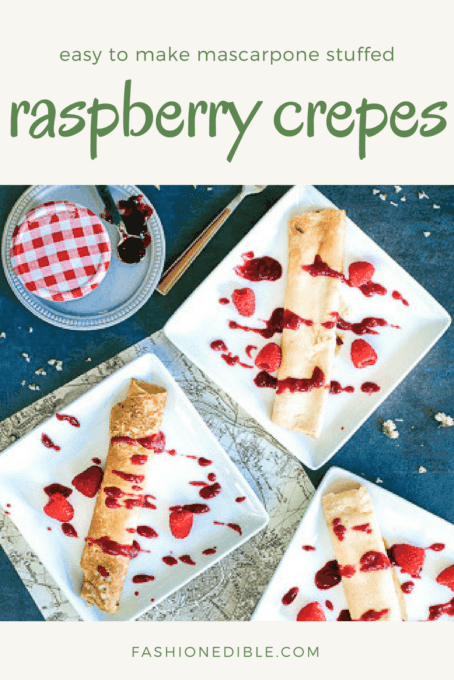 These crepes would make the perfect breakfast in bed treat for Mom; just add some coffee or tea and a few flowers. I used Bonne Maman preserves in this recipe, a brand of preserves that is made in France and uses all natural ingredients (not even high fructose corn syrup). You can find them at any local retailer. The recipe makes about 7 large sized crepes. You can make smaller ones if you prefer! 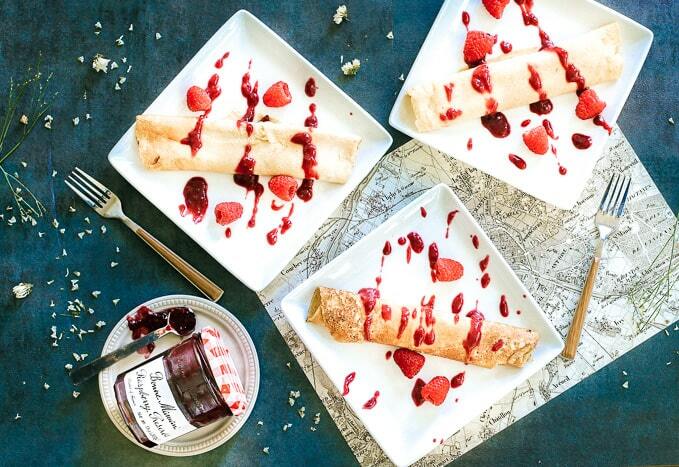 Make crepes according to recipe directions. In a small bowl combine whipping cream, yogurt and mascarpone. Whip until stiff. In a separate bowl, combine preserves with 1 T cream. 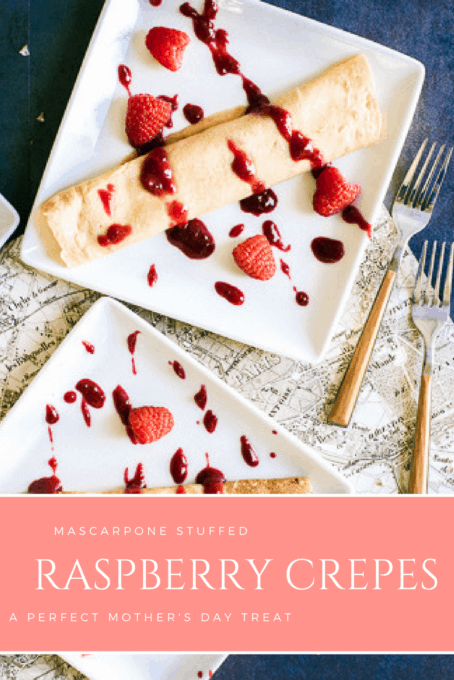 Spread 1-2T mascarpone cream in each crepe and roll or fold over. 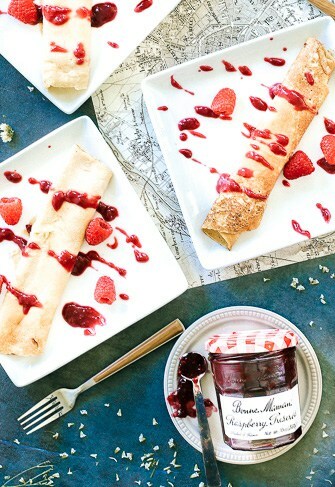 Garnish with a healthy drizzle of Bonne Maman preserves and a handful of fresh raspberries. Bonne Maman is hosting a contest so be sure to enter below!